From my experiences, there are only two types of U2 people: those that love them and those that hate them. 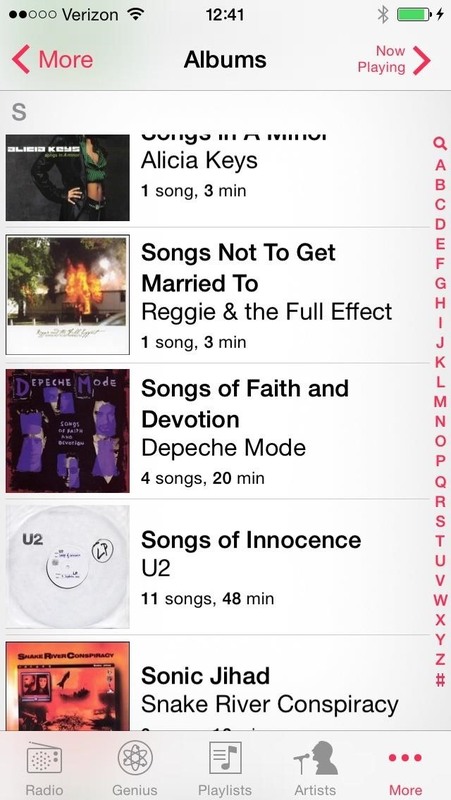 I'm the latter, so it's pretty damn annoying that Apple just added U2's new album, "Songs of Innocence," to my iCloud. If you find it creepy that U2 is appearing on your iPhone or in iTunes, don't worry—I've found a few ways to deal with it. Hit the "Remove Album" button and input your Apple ID and password. Once done, the album will be gone. Forever! Now, if for some reason you want to hold onto this album, I recommend downloading it first, then deleting from your purchases. Or, if you don't want to delete it at all, but want a little control over where it appears, try out one of the original three methods listed below. 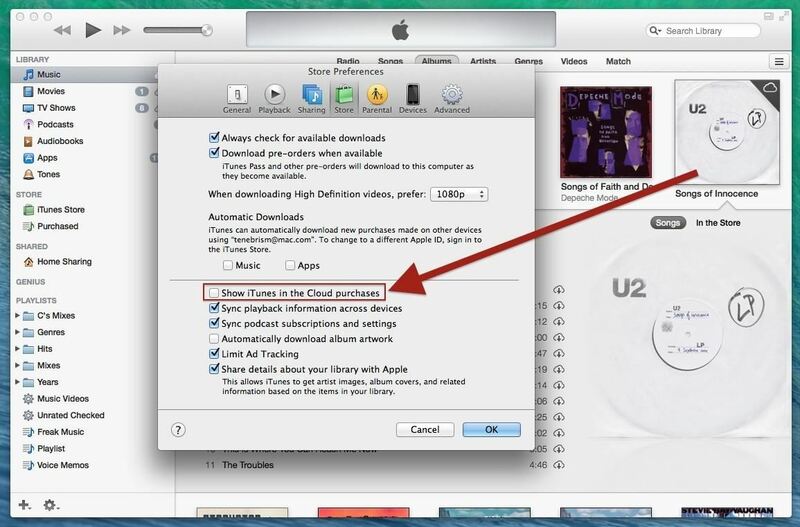 If you're not using iTunes Match, and are not using iCloud to store music for your iPhone, then you can simply hide the new U2 album from appearing in iOS and in iTunes. This is assuming that at one point, you'll want the album back. See options #1 and #2 below for instructions. 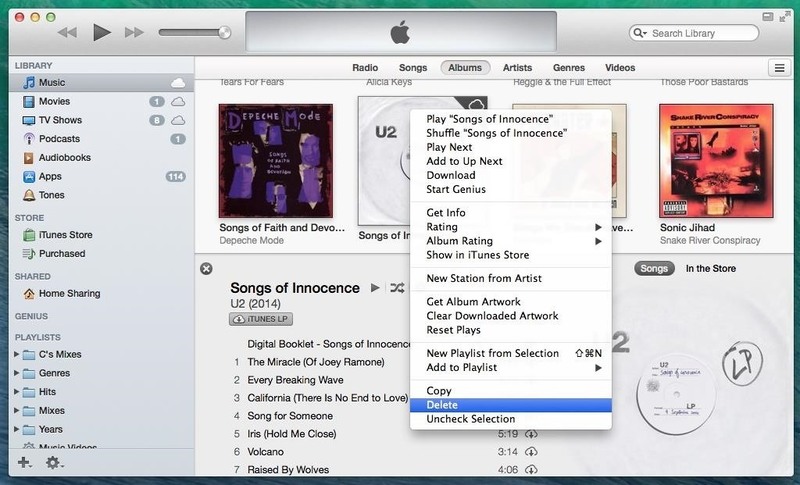 If you do use iTunes Match or iCloud to store songs (and save space on your iPhone), you can hide it from appearing in iTunes only, while showing you the rest of your iTunes purchases in the Cloud. See #3 below. You will still, unfortunately, see the album on your iPhone unless you do #1 also (or just delete it for good). 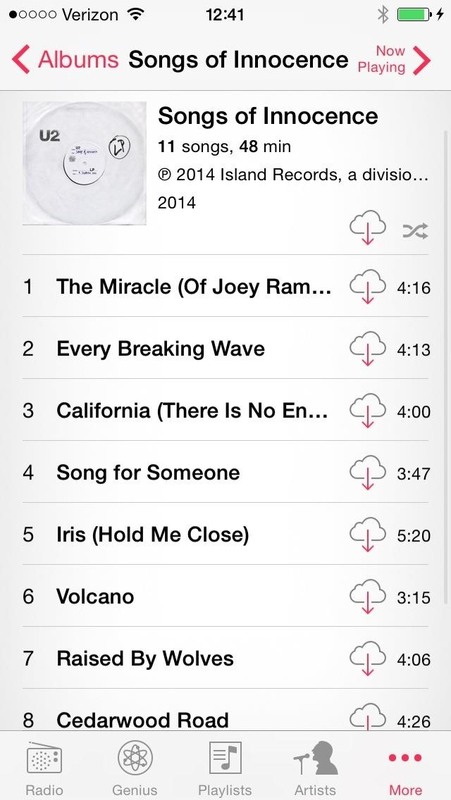 Hiding the new U2 album on your iPhone is really easy. However, it will also hide all of your other iCloud music, so if you use iTunes Match or store a lot of your music in iCloud vs. on your iPhone, this is not the option for you. If you're like me and manage your music manually via iTunes, this is a good option. Just navigate to Settings -> Music and turn off "Show All Music" to hide all of the music that is not stored directly on your iPhone. 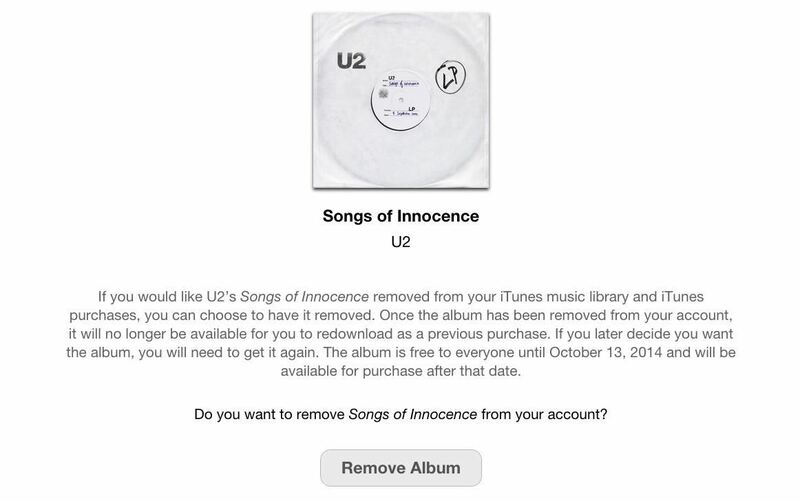 One caveat—if you happened to "stream" a U2 song from iCloud before doing this, it will act as if it was "downloaded" to your iPhone, even though it wasn't. So, you might still have a song or two appearing. 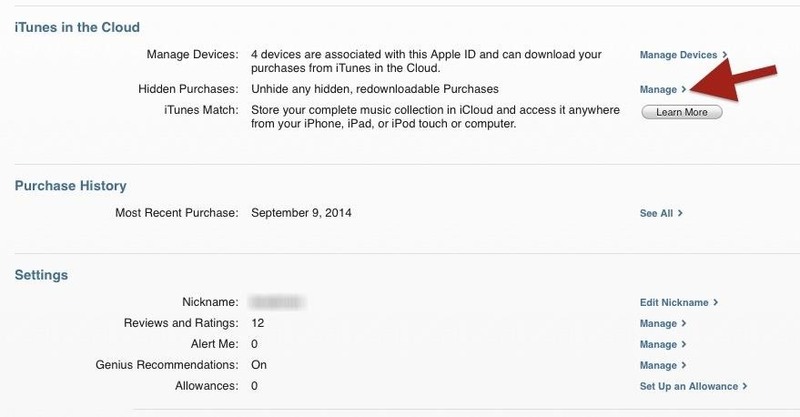 See our guide on deleting phantom iCloud songs to permanently remove those stragglers. You can do the same thing as above for iTunes on your computer by going to iTunes -> Preferences -> Store and make sure "Show iTunes in the Cloud purchases" is unchecked, then press "OK" to continue. Again, this will hide all of your iTunes purchases, so if you don't want to do that, you'll want to do the next option. 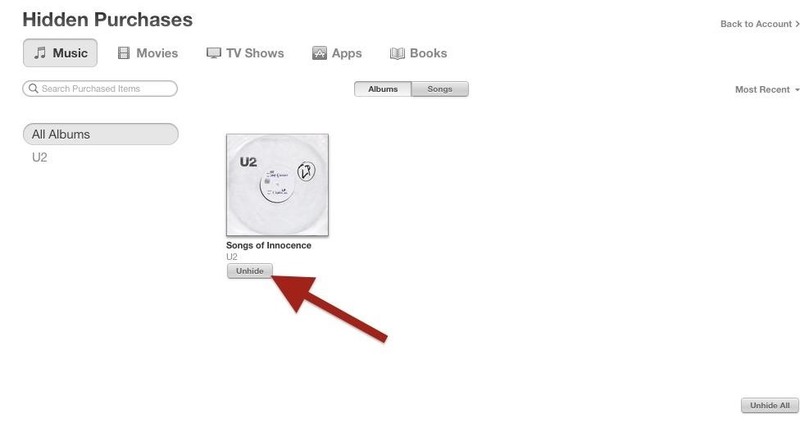 Whether you've downloaded the album or not, in iTunes on your computer, right-click on the album, then select "Delete." Depending on whether or not you downloaded them, you'll get different popup windows, but the goal is the same—hide the items from iCloud. You should see it disappear from your iTunes right away. Unfortunately, this trick does not "hide" the album on your iPhone if you still want "Show All Music" enabled for other iCloud songs. You can only hide it from iTunes, at least, in my experience. So, the only way to hide it on an iPhone is to flat out delete the album from your "purchases" (see update above), or to disable "Show All Music" (#1 above) and make sure you've deleted any downloaded or phantom songs still showing up. 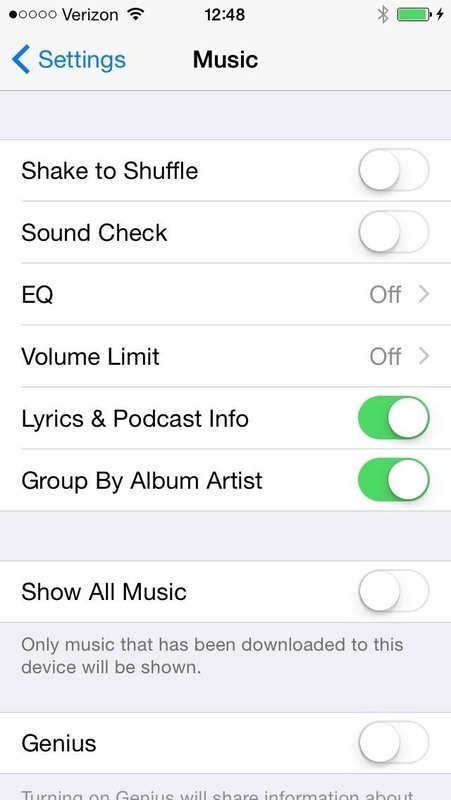 You may also need to force-close the Music app for the changes to take effect. Should you ever decide to unhide this album, it's really easy. Just view your account in iTunes and select "Manage" next to "Hidden Purchases" in the iTunes in the Cloud section. Then just select the "Unhide" under the album and it should show back up as part of your iCloud collection in both iTunes and on your iPhone. I'll do what it takes to hide this wholly unwelcome invasion of my music collection. What the hell were Apple thinking? Can I sue apple for forcing music upon me? I cannot delete this pile of crap off my phone and am fuming!!! I can't find the options listed to get rid or hide it!! Check out the update. There's a way to actually delete it for good now! As a musician and audio engineer it frustrates me to no end how obtuse Apple is. After spending a long night at the recording studio I will send out a rough mix of what we did to the other musicians in the band and aside from streaming it from our gmail drive or the web browser there is now way to add that song like you could an image. It is stupid that Apple has handcuffed us to iTunes. We aren't stealing music, we're just trying to listen to what is ours in the first place. I have found no way on an iPhone to save a song and play it without having to sync or stream it from a cloud and that is why my next phone will NOT be an iPhone. Get your act together Apple. People will always find a way to steal things, why don't you try catering to the people who don't for once.